It’s not always possible to avoid dental emergencies, but planning for these possible emergency situations can significantly decrease stress. For patients of Tomko Dental Associates in Allentown, Fogelsville, and other nearby communities, we are happy to offer same day emergency dentistry appointments for patients of record in most cases. If at all possible, we’ll also see new patients on an emergency basis, and our knowledgeable team is also happy to offer first aid and pain management instructions over the phone. 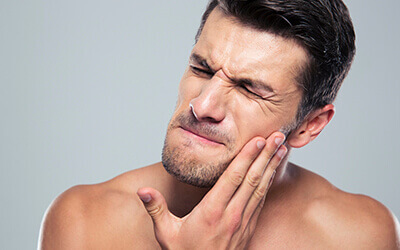 A dental emergency is anything that has broken or is bleeding or causing you pain in your mouth. It’s something that should be treated right away for the sake of your oral and overall health. A knocked out tooth, for example, should be attended to within two hours for successful reattachment. However, dental emergencies come in all shapes and sizes. It is impossible to include everything that could happen on this list -- in general, if you feel like something needs attention right away, it’s best to get in touch with our office for further guidance. As we have already stated, it’s best to contact your emergency dentist as soon as the situation has been controlled. Your dentist is often better equipped than an emergency room to provide the care that you need promptly and efficiently. As long as you follow these steps and anything else we suggest, chances are good we can have you out of pain and on with your life before you know it. Of course, it would be better if dental emergencies never occurred in the first place. You can’t guarantee that one won’t happen to you -- but to keep your smile safe, take these precautions on a daily basis. But remember, anytime the unexpected does occur, there is a trusted dentist in Allentown ready to take on your emergency. If you’re a patient of record, you won’t be caught searching for a “dentist near me” when the unexpected strikes. Don’t hesitate to contact our dedicated team right away during dental emergencies. We’re here to help whenever our patients need us -- and that includes you! The Tomko Dental Associates team is on your side. **Remember that if you experience heavy bleeding that does not slow, severe facial trauma, or have potentially broken your jaw, we encourage you to proceed to your nearest emergency room. Contact our team once you are sure the situation is under control.